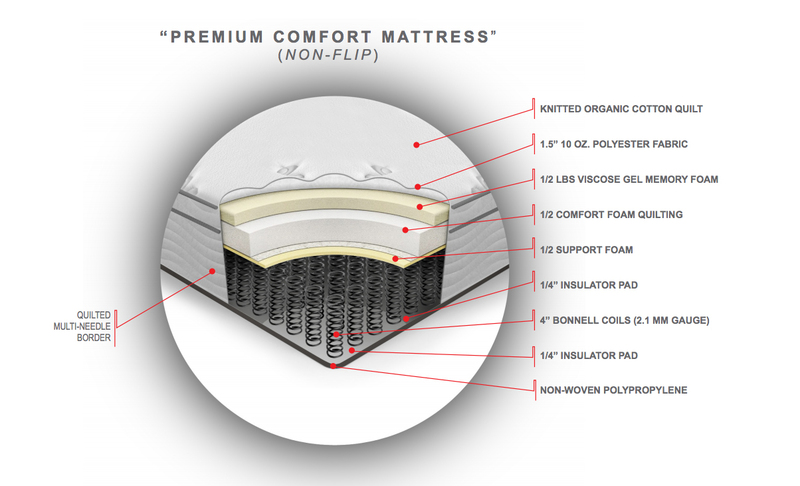 The Premium Comfort Mattress is designed to ensure guests sleep as comfortable as possible. The organic knit cotton quilt promotes airflow for a cooler nights sleep. This sofa mattress conveniently folds inside with great ease and sturdiness even with regular use. This is the ultimate addition to your sofa or sectional, preventing the need for additional expenditure. The Viscose Gel Memory Foam is the highlight of this mattress as it works together with supporting layers of foam to help relieve pressure points while providing a refreshing rest as it disperses body heat creating a cooler sleeping experience. It is Important to note that gel foam is naturally antimicrobial, resistant to allergens, mold, bacteria and dust mites which makes this mattress appealing to the healthcare / hospitality industry or those with allergies. The Premium Comfort Mattress in conjunction with theHeavy-Duty Hotel/Contract Sofa Sleeper System is offered as an upgraded option in all Statum Designs’ sofa sleeper beds, in either a Double or Queen size for an additional fee. Keeps all metal parts below the mattress line, while being the easiest in the industry to operate. Together they enhance support in the body section to eliminate sagging. The cross tube keeps the unit square and enhances unit strength. Offers a wider seating area by allowing seating close to the arm. 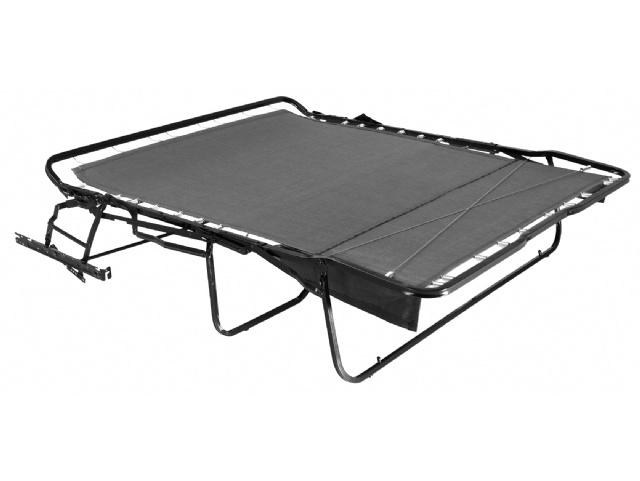 Provides support while sleeping, plus adds durability to the overall unit. Support wires also give the quality feel of stationary seating. Provides a strong and visually appealing look with improved safety (eliminated pinch points) and comfort in the seated position. The heavy- duty construction is designed for contract use and available in residential use. Two-ply ballistic decking material enhances durability and visual appeal. Provides enhanced stability and strength, allowing the unit to be operated from the centre or side position. A necessary safety feature, keeping the unit in contact with the floor at all times in the open position.